FrogWatch USA at the National Zoo is in its sixth season. To date, they have monitored 75 sites in DC, Maryland, Virginia, West Virginia, and Maine and have submitted 1,650 frog call observations. Tracking frog populations throughout the United States, FrogWatch invites participants to choose a monitoring site that is easily accessible and close to where they live or work to listen to frogs that are calling throughout the warmer months. Water harvesting involves strategies to manage and enhance the water resources on your land, leading to healthier plants and lower water bills. Understanding and implementing just a few simple water harvesting techniques, such as swales, hugelkultur beds, and rain gardens can improve the way water moves through your yard and how effectively your plants are able to use it. Designer Michael Judd shows you designs that best fit your land, how they are created and how to make them look good. These principles will help make your land more diverse, productive, and ecologically friendly. Register via ParkTakes. Fairfax County residents $10, others $12. Counts toward continuing education credits for master naturalists. 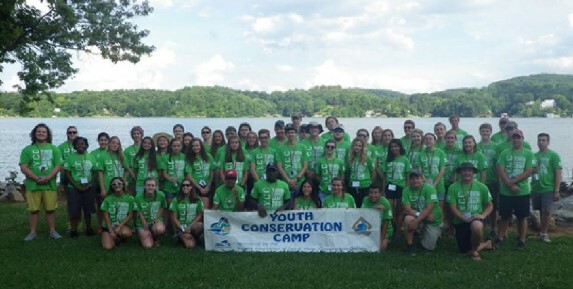 For over 35 years, the Virginia Association of Soil and Water Conservation Districts has sponsored a week long summer conservation camp in July for Virginia high school students on the campus of Virginia Tech. The camp provides a week of learning about Virginia’s natural resources from conservation professionals and university faculty. Youth Conservation Camp is a selective program. Interested students must send their applications to the Northern Virginia Soil and Water Conservation District, whose staff will select which students will attend and be eligible for partial scholarships. The pre-scholarship cost is $550. 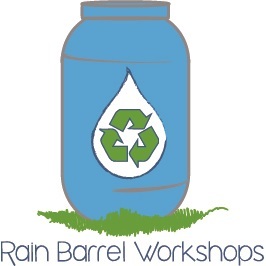 The Northern Virginia Rain Barrel Partners’ have announced the spring dates for their popular build-your-own workshops and pre-made rain barrel sale. Build-your-own workshops will be held on March 24th and April 14th, and the pre-made barrel sale will be April 20th-21st. Online registration and ordering will open in early-to-mid February. Enjoy observing local birds? You can make your observations count. The Great Backyard Bird Count, running from February 16-19 is a fun, free, family-friendly event that asks us to observe and count the birds in our backyards, building balconies, parks, schools–anywhere we may find them. Learn how to sign up and get started counting here. Help spread the word with pre-made resources here. In support of the bird count, DC Audubon is organizing a bird walk on Saturday, February 17 at 10:00 am at the U.S. Arboretum. For details and other updates, sign up here. Join citizen scientists around the world for this annual tradition! https://fairfaxmasternaturalists.org/wp-content/uploads/2017/11/qtq80-1NvEN6.jpeg 1440 2160 Marilyn Kupetz https://fairfaxmasternaturalists.org/wp-content/uploads/2017/02/FMN-Logo-300x222-1-300x222.png Marilyn Kupetz2018-01-31 02:26:322018-01-31 02:36:16Get ready for the Great Backyard Bird Count! Join the Friends of Mason Neck State Park on Saturday, February 10 on a walk to see the Tundra Swans! Each year, the Mason Neck area is host to one of Northern Virginia’s largest concentrations of Tundra Swans. Depending on the day, you may see between 200 and 400 swans and hear their haunting calls. You will also see other waterfowl, including Northern Pintails, American Coots, Ruddy Ducks, Black Ducks and Mallards — and who knows what else? Bring your binoculars if you have them. If not, there will be binoculars and telescopes for people to share. The tide will be high when the group gets there, which will maximize the likelihood that the birds will be close. The group will gather at the Woodmarsh parking lot at 2:00 PM. It is on the left of High Point Road about a quarter mile BEFORE the Mason Neck State Park Contact Station. It is about a 1-mile walk on level ground to the bird blind at the marsh. There is no charge for the hike, and there is no need to pay the State Park entrance fee since the group will be outside the park. Area-wide citizen scientists are meeting at the Smithsonian National Museum of Natural History to discuss 2018 City Nature Challenge (CNC) and how you might get involved. Join them Friday, 9 February 2018, 9:00 am – 11:00 am. An optional 30-minute iNaturalist training will following the meeting. The 14th Annual Woods & Wildlife Conference will be held on February 24, 2018 at the Daniel Technology Center, Germanna Community College, Culpeper. On-line and mail-in registration are open. This conference counts toward continuing education credits for master naturalists. The Invasive Management Area (IMA) Program is hosting habitat restoration service opportunities on Saturday, 27 January, in Wayland Street Park in Oakton, and Borges Street Park in Vienna . See calendar for details of timing and requirements. The minimum age to volunteer is 11. Please contact the IMA Coordinator for details. Volunteers 13 and younger must be accompanied by an adult. Students who need community service hours, please bring the form to be signed to your workday. IMA workday forms must be received by noon the day prior to the event for weekday workdays, and by noon on Friday for weekend workdays. The IMA Volunteer Program is a community-based project designed to reduce invasive plants on our parklands. This program gives volunteers an opportunity to connect with like-minded people while taking care of natural resources. Through IMA, you’ll protect the plants and wildlife of Fairfax County’s forests while spending time outdoors, meeting new people and restoring natural habitats. IMA is more than just pulling weeds. It’s also habitat restoration and a long-term commitment to parks. Invasive plant species are difficult to remove and control, but with the help of IMA volunteers, undesirable non-native, invasive plants are removed and native plants are returned to the habitat. Native plantings take place in the spring and fall. The IMA project began in 2006 with 20 sites. Since then, more than 35 acres have come under IMA management, and there are 40 active IMA sites. More acres have been treated and restored by contractors and staff.